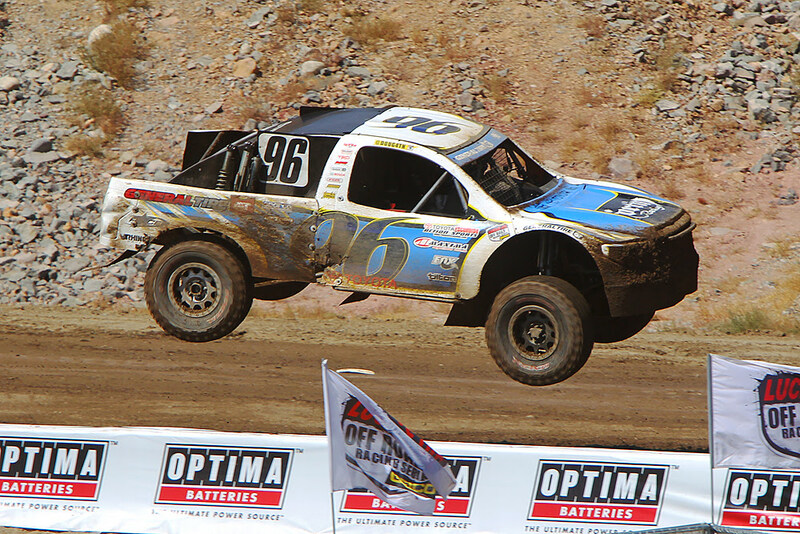 Hot off of two consecutive strong race weekends in Reno and Las Vegas, Doug Fortin will bring his #96 Fortin Racing, Inc./General Tire/Toyota of Escondido Action Sports/Fox Racing Shox/Maxima Racing Oils Toyota back to Lake Elsinore Motorsports Park with a huge head of steam behind him. 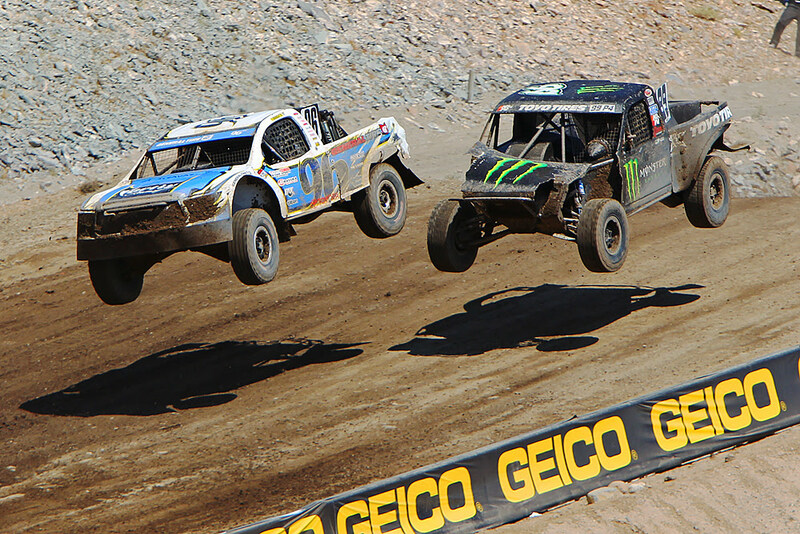 The Silver State seemed to have been something of a turning point for Fortin, as a season’s worth of diligence and hard work by he and his “Dream Team” paid big dividends, and with four straight races in the thick of the fray, Fortin is unquestionably a favorite heading into the 2015 season finale of the Lucas Oil Off Road Racing Series. 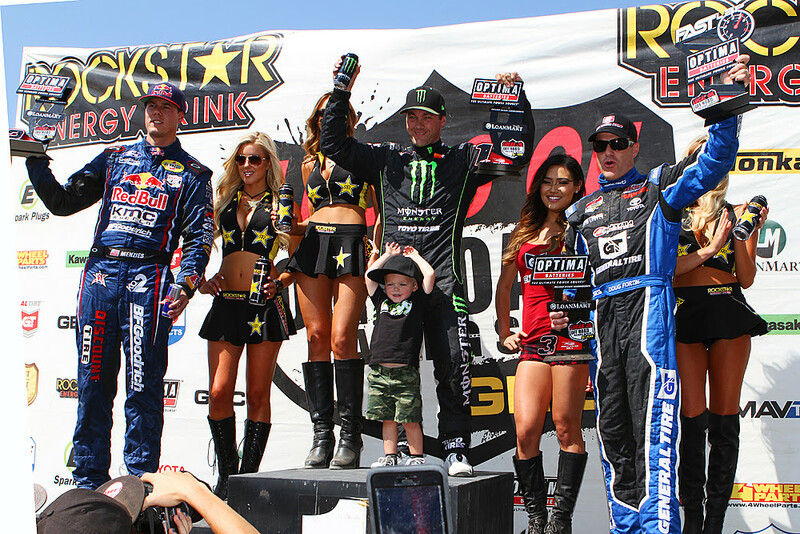 Reno was the site of Fortin’s maiden Pro 4 win in 2014, so he was justifiably excited to tackle Wild West Motorsports Park’s big elevation gains and ultra-high-speed straights in Rounds 13 and 14 of this season. Fortin knew that his truck would suit the track well, and after combining his setup baseline from last year with the knowledge he’s accrued this year, Fortin was able to put himself up to fifth in Round 13 qualifying. Fortin was disappointed with that, but quickly improved his position in the early portion of the race. Fortin made quick work of Rob MacCachren and Carl Renezeder to move up to third, where he then battled closely with Bryce Menzies for second. The loss of a master cylinder cut Fortin’s ability to attack to the fullest late in the race, but, highly-adaptable driver that he is, Fortin used his FRST-5 gearbox to downshift hard into the corners, allowing him to utilize his Triad engine’s braking capabilities to get him slowed down in the tricky turn one braking zone. Fortin held on for a hard-fought third place, and also picked up the fast lap award, his second of the year. Round 14 qualifying was Fortin’s best of the season to-date, as he got within under half a second of top qualifier Kyle LeDuc to slot in second. A tough draw for the inversion put Fortin back to row three for the race start, but some heads up driving put him right back up to second out of turn one. Fortin then found himself in a thrilling race for the lead, but as he was sandwiched between Renezeder and LeDuc, Fortin had to try to attack and defend at the same time. The battle was a great one, but unfortunately, a rock found its way into Fortin’s oil pump belt, instantly severing it and ending his race just as lap 11 began. Fortin did manage to set the third quickest lap, though, as he again demonstrated his speed despite the premature end to his race. Rounds 15 and 16 saw the series move south to Las Vegas Motor Speedway, and in Round 15 qualifying, Fortin was a solid fourth after getting the feel of General Tire’s latest offerings in the previous day’s practice sessions. Fortin moved into a great battle for the lead with MacCachren on lap 10, but unfortunately, an uncharacteristic rut-catching on lap 12 found Fortin up on two wheels and then over the outside k rail in an instant, the resulting damage ending his night early. Round 16 started out much better for Fortin, though, as he scored his first pole position of the year in qualifying, only to see a six-position inversion of those results push him back to the outside of row three on the starting grid. Fortin kept his nose clean amidst the chaos around him as the race got underway, and he soon found himself all the way up in second, but with his mirrors full of LeDuc. For 10 laps, the two put on the show of the season, with Fortin holding an increasingly eager and frustrated LeDuc at bay despite several very earnest passing attempts on the part of LeDuc. Finally, LeDuc just nosed ahead, but only seconds later, a spin cost him the position, as once again, clean driving and a solid, reliable truck put Fortin ahead, as he charged home second to equal his best finish of the season; he narrowly missed out on the race’s fast lap award as well, after being edged by just 0.142 seconds. 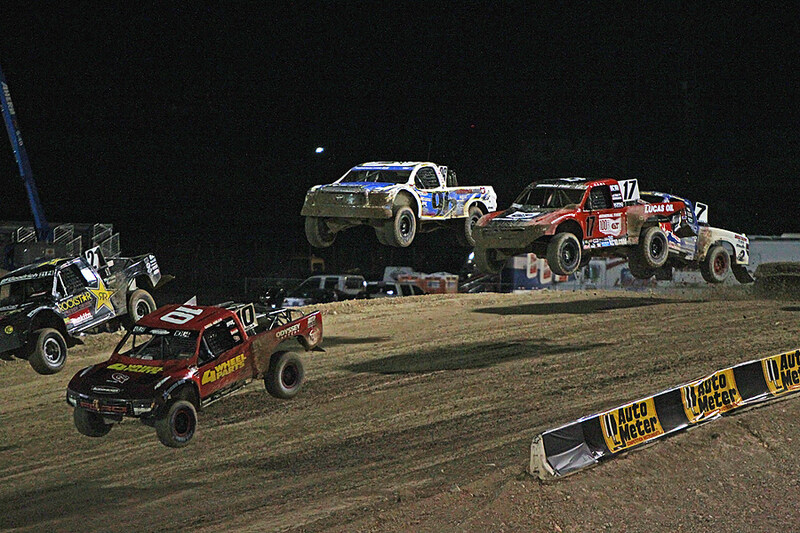 Having shown that he can consistently race with the series’ finest, Fortin now looks to close out the season with two very strong outings on what is essentially his home track, Lake Elsinore Motorsports Park. Though not his favorite track, Fortin has managed to find both speed and success here (Round 1 saw Fortin pick up a second place finish and, at the time, the all-time lap record at this track). With many, many laps of testing time here, a strong database of knowledge built up over this season, major momentum from the past four rounds, and the chance to put on a show in front of his local fans in the biggest race weekend of the year, Fortin has every reason to be excited about this season finale. Moreover, Fortin recently pulled ahead of Renezeder for fourth in the points standings, yet with just five points between them, Fortin will have extra pressure to perform. For Fortin, that’s a good thing, as he feels he performs best when under pressure, and anyone who saw his drive in Round 16 can attest to the validity of that claim. Fortin will have Round 17, the final race of the regular season, to seal his position in the points race, before then heading into battle with both the Pro 4 and Pro 2 fields in the season-ending Lucas Oil Challenge Cup race, the single biggest race of the season. 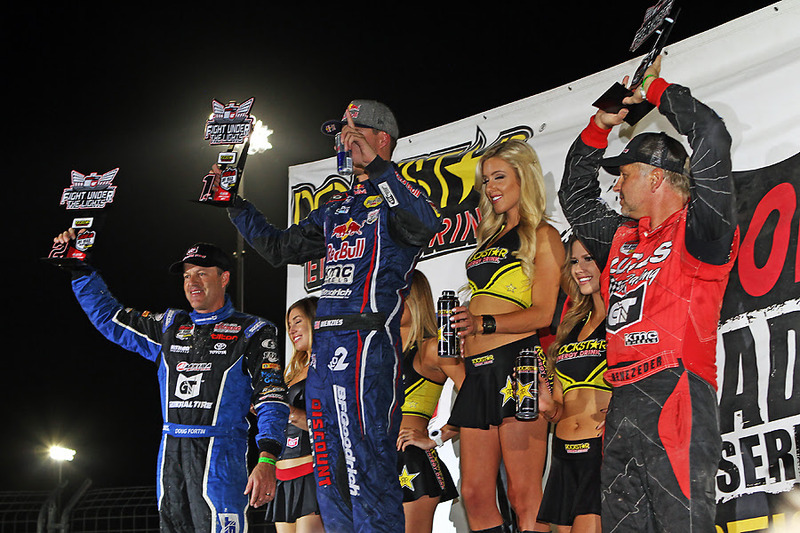 Having won the Pro Buggy versus Pro Lite Cup race back in 2010, Fortin has good history here, too, and with so many factors tipping him for success, smart money should be on Fortin to come up big at Lake Elsinore. For more information, please visit www.fortinoffroad.com.